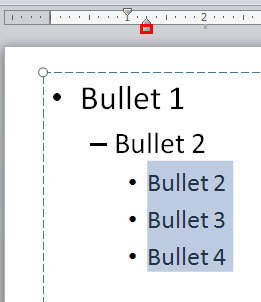 You have already explored how you can use the First Line Indent Marker and the Hanging Indent Marker to tweak bulleted paragraphs in PowerPoint 2010. The next and last of these indent markers on the Ruler is the Left Indent Marker — this acts like a lock on the First Line Indent Marker and the Hanging Indent Marker. Funnily enough, it is called the Left Indent Marker even though it is placed at right-most of the three markers! 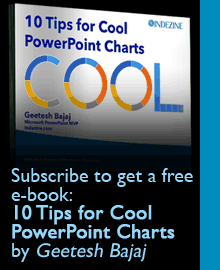 Learn how to adjust the position of bulleted paragraphs using the Left Indent Marker in PowerPoint 2010.